A kind of fiendish verve powers this new horror opus, a remake of Mary Lambert’s 1989 film adapted from a chilling Stephen King novel which he was hesitant at first to have published. Genre aficionados and enthusiasts of King will probably like this Pet Sematary which doesn’t feel big-budgeted or bloated and is embedded not only in anguish but in devotion. Though in linking the former with resurgence may not have the desired familial continuity of emotional trauma. Yet, a decent rendering (perhaps not up to the standards of the supernatural derived from King two years ago, It) could very well capture the imaginations of those unfamiliar with the crackerjack author. Good casting goes pretty far in how directors Kevin Kolsch and Dennis Widmyer employee their characters into an often unsettling framework. Australian thespian Jason Clarke (First Man) as physician Louis Creed and wife Rachel (Amy Seimetz) relocate to a quaint Maine hamlet from Boston in obtaining work at a university which he hopes will be less demanding, beginning with the hours. But, a very sick student abstrusely admonishes Louis about the long-time titular place at the back of his property. His new hirsute neighbor Jud Crandall (the venerable John Lithgow of The Accountant and Beatriz at Dinner among a plethora of credits with two Oscar nods) provides some insight after a major loss about the unusual nature of death in this place. You see again as in other King silver screen conversions how the conscience can be lead into darkness, but where it originated from helps to picture an alarming arc. And, Clarke convinces as father headed to Frankenstein territory. Rachel as well is a product of a troubled childhood with a sister afflicted with spinal meningitis, and recollections, especially where a medicine cabinet appears is eerily right-on with Seimetz able to manifest the inner turmoil. Lithgow offers an edgy ambivalence to Jud (played in Lambert’s version by Fred Gwynne) who has an authentic bond with the Creed’s prepubescent, older child Ellie (filled with surprising acuity by Jete Laurence) who is essential to the tinkering of the narrative. Also purring in importance is the feline Church who figures in nasty goings-on as lurid, hellish mayhem is par for the course. 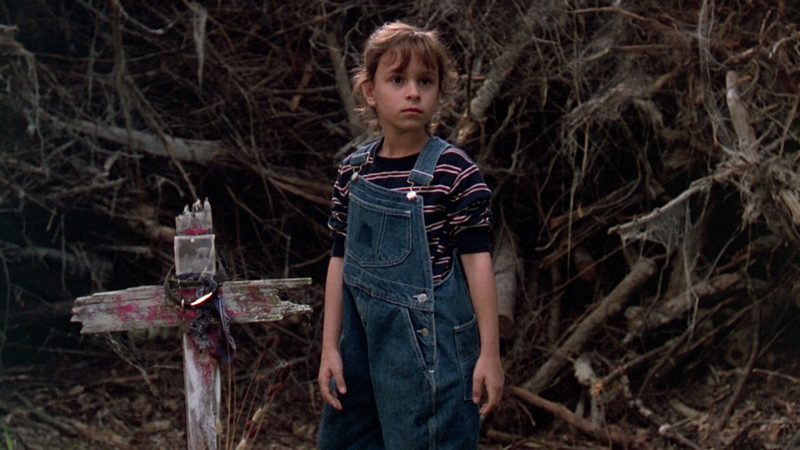 A Sematary rising anew has a sobering angle on mortality and despair that just isn’t the impressively vivid and menacing infusion it was on the page. MPAA Rating: Rated R for horror violence, bloody images, and some language.